South Africa, the motherland as they would call it; is becoming the hub for major international fashion. As, designer brands are claiming their spot in the country, the Mall of Africa brings you brands that will make anyone feel like royalty. We all know that we love to dress up and look like a million bucks. 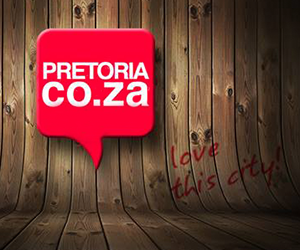 Well, now we have the convenience of shopping at one of the most talked about malls in the city – the Mall of Africa! Giorgio Armani has been around for years. His unforgettable brand, Emporio Armani is run on the ethos, “Elegance is not about being noticed, it’s about being remembered”. This elegant brand is now trading as Armani Exchange in South Africa to bring you only the best of the threads. Who wouldn’t want a unique piece of art to wear? Red carpet alert! Witchery dresses women with unique clothing fit to meet their every need. This ladies only brand (sorry, gentlemen) is great for the modern woman who wants the sophisticated, but still fashionable look. Witchery have the ultimate fashion for the 21st century woman. From formal wear to that flowy floral dress that you’ll be wearing at that next sundowners meetup, they have it all! Are you the ultimate gentleman? Are you the guy that walks into the room and all the jaws drop? (Okay, that was just for dramatic effect.) Well, jaws will definitely drop as soon as you make Hackett of London your friend. This one is for the gents, sorry ladies. Hackett has been around for years and have since located themselves globally. They are now gracing the shores of Johannesburg to bring us that touch of dapper that we have been missing. South Africa got used to shopping online for Steve Madden brand wear. So, it was a total eyebrow raise when they decided to open up a store right here on home ground. A lot of word of mouth went around when they decided to place this heavenly shop in Midrand. Steve Madden boast excellence with heels that have all the ladies going crazy, as well as shoes that have the gentlemen feeling like they’ve just walked out of GQ. Their brand is all about making a statement and making fashion proud, as every shoe is a representation of quality.